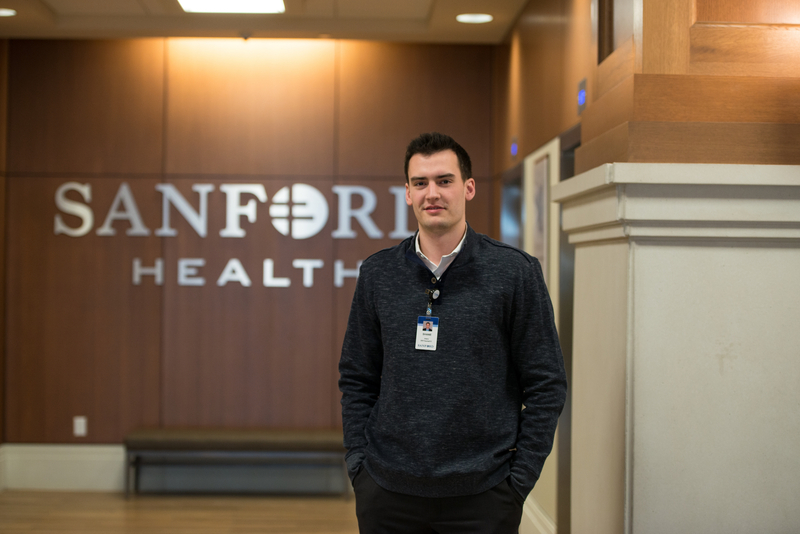 Healthcare is Fargo-Moorhead’s top industry and Shane Seifert ’18 is taking one of the many opportunities available by participating in the healthcare leadership program in the Offutt School of Business and interning at the largest healthcare provider in the region. Shane Seifer '18, St. Cloud, Minn.
Tell us about your involvement on and off campus. I am currently president of the Student Healthcare Management Association (SHMA) and was a member of the Student Government Association’s Student Involvement Council. I work in the Career Center and have interned at Discovery Benefits, Good Shepherd Lutheran Nursing Home and Sanford Health. What interests you about healthcare administration? I was initially interested in healthcare administration because it gave me the opportunity to influence people’s health and well-being from the business side. I appreciate the level of commitment and responsibility we have to members of entire communities. To me, healthcare is the most rewarding field there is and I am excited to be at the forefront of this ever-evolving and challenging field. What advantages does Fargo-Moorhead offer students pursuing a career in healthcare? The sole reason I am a student here is because of the healthcare program Concordia has established over the past 50 years. During that time, Concordia has graduated some of the top healthcare leaders in the nation and built an extensive network of alumni. Another advantage is the growing population here and the close proximity to some of the best healthcare organizations in the Midwest. 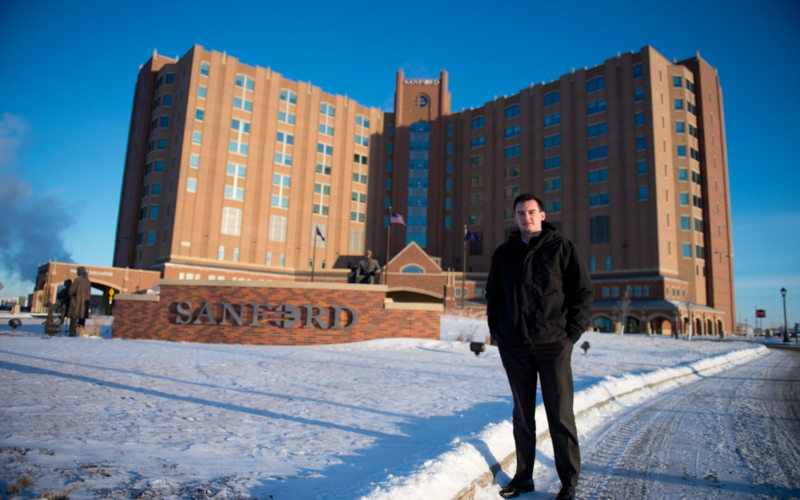 Through my internship at Sanford, I’ve worked on continuous improvement efforts throughout the entire facility from admission to discharge, strategic and business planning of multiple multimillion-dollar projects, research projects for the president of the Fargo market, as well as incident command for the entire hospital. How has Concordia prepared you for life after college? My studies in healthcare leadership and long-term care administration and my internship at Sanford complement my career goals by giving me real-world experience in healthcare right in our community. Working at Sanford’s brand new state-of-the-art facility has given me a truly in-depth understanding of the innermost workings of a world-class healthcare facility and how the organization is run. Through my day-to-day operations, I’ve been able to work with a highly diverse team – from both the frontline and the executive leadership team. How are you using the Cobber Network? I am working at Sanford Health as an executive director intern after a connection I made on a tour of the hospital that was facilitated by the Career Center last year. Another way I use my Cobber connection is by attending conferences and SHMA events where we bring healthcare professionals to campus. I take every chance I get to network with Cobber alumni and community healthcare professionals. I have learned to be more comfortable networking with current professionals, as well as gained the ability to put myself out there and market myself in a way that gives me the best chance possible for a successful career in healthcare. There are Cobber connections out there, but it is up to us whether or not we take advantage of the vast network of possibilities Concordia has to offer. My career goals are to work in a medium- to large-sized organization with a wider rural and urban market. I also want to work for a system that emphasizes public health and disease prevention.